Welcome to Tuesday Teaser. Today we are taking a look at four crime fiction writers that have either self-published or published with a small press. Her debut novel, Write About Me, a No.1 best-seller on Amazon and endorsed by the Australian Federal Police, was inspired by the loss her cousin, Ursula Barwick, who went missing in 1987. Following the huge success of Write About Me, Melissa followed up with the Detective Rhiannon McVee Crime Mysteries – Find Me, When You Find Me, and You’ll Never Find Me. 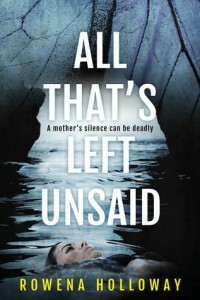 Catherine Lee is an Australian author and lover of crime fiction. 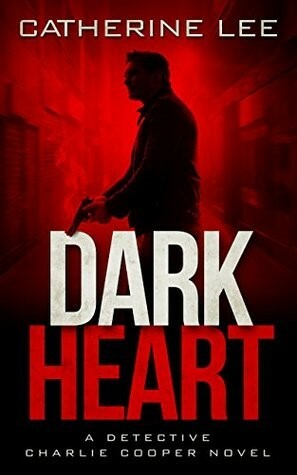 Her Dark Series – Dark Heart, Dark Past, Dark Secrets, and Dark Chemistry are described by the author as ‘crime fiction with a topical edge’. Dark Heart looks at the topic of cellular memory, Dark Past has themes around ancestry and genetics, and Dark Secrets deals with the difficult topics of bullying and teenage suicide. Set in Sydney, the series follows veteran detective Sergeant Charlie Cooper. Jennifer Cameron-Smith on Goodreads, enjoyed the prequel novella Dark City so much, she purchased the trilogy and is eagerly awaiting the next instalment. Dark City is available for free on Catherine’s website. Book 5 in the series, Dark Edges, is due out later this year. Rowena Holloway is an Australian suspense writer with a special interest in cold case crime and dysfunctional families. Her novels include All That’s Left Unsaid, a complex murder mystery set on the Amalfi Coast in Italy, Pieces of a Lie, a gripping psychological thriller set in Australia, and a short story collection called Strange Shorts (free on Rowena’s website). Sandi Wallace is an award-winning Australian crime writer living in the beautiful Dandenong Ranges. She writes gritty rural crime and psychological thrillers. 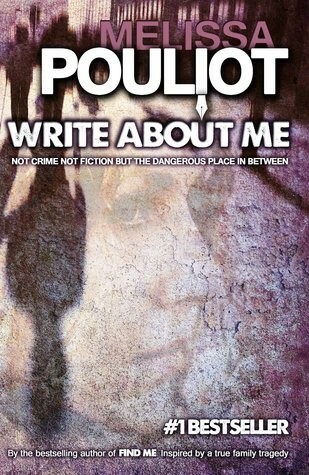 Her first novel in the Harvey & Franklin rural crime series, Tell Me Why, published by Clan Destine Press, was the winner of the 2015 Davitt Readers’ Choice Award and shortlisted for Davitt Award Best Debut. She has just launched the second instalment, Dead Again, published by Atlas Productions. 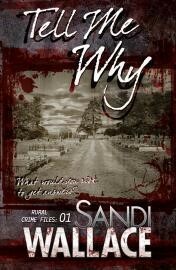 Sandi is also a contributing author of the anthology Writing the Dream released in November 2016, and is currently at work on the next book in her series, and a standalone psychological thriller. Sisters in Crime have been celebrating women’s crime writing since 1991. Launching at the Feminist Book Festival, their motive is to ‘share our collective passion for women’s crime writing.’ They have two national awards – The Scarlet Stiletto Awards, an award for short stories ‘written by an Australian woman and featuring a strong female protagonist’ and the Davitt Awards which awards for Best Adult Novel, Best Young Adult Novel, Best Children’s Novel, Best Non-Fiction Book, Best Debut Book, and Reader’s Choice. 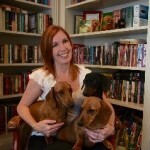 Lisa Fleetwood is a book lover, writer and blogger at Welcome to My Library, creator of Bookends Publishing and author of travel memoir Destination Dachshund: Three Months, Three Generations & Sixty Dachshunds. She loves tea, travel and is obsessed with dachshunds. Follow Lisa on Twitter @LisaFleetwood or Facebook. Great start to what promises to be an interesting series. Welcome Lisa and thanks!